A celebration of our bodies. 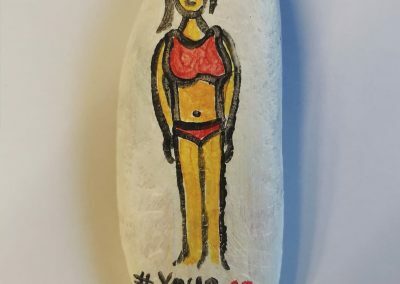 Stand up to body shaming. 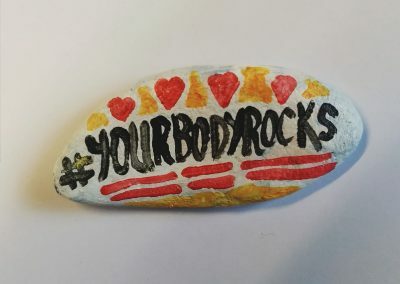 ‘Your Body Rocks’ celebrates wonderful unique, healthy and inspirational bodies; focussing on achievements and capabilities rather than just how we look. 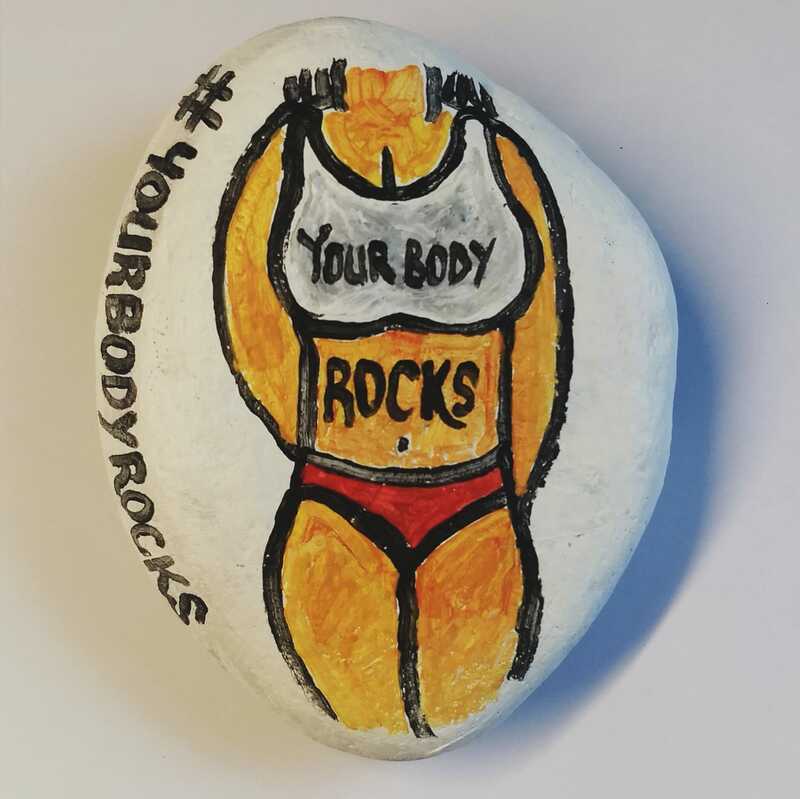 The primary aim of the campaign is to encourage body confidence and body positivity for all, men, women, young and old. In doing so, we also hope to encourage the fitness, health and well-being industry to break away from the clichéd images of ‘body perfection’ and represent have a more balanced and healthy attitude, outlook and mindset. 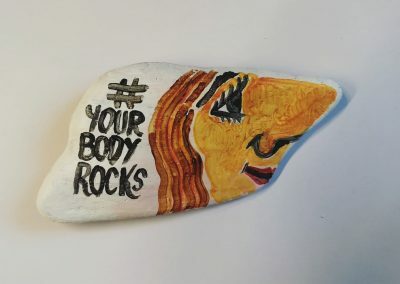 We believe that a healthy body image comes from understanding that there is no such thing as perfection, old does not mean unfit, mobility for life does not mean extreme flexibility, and health and fitness is more than a clothes label or size. 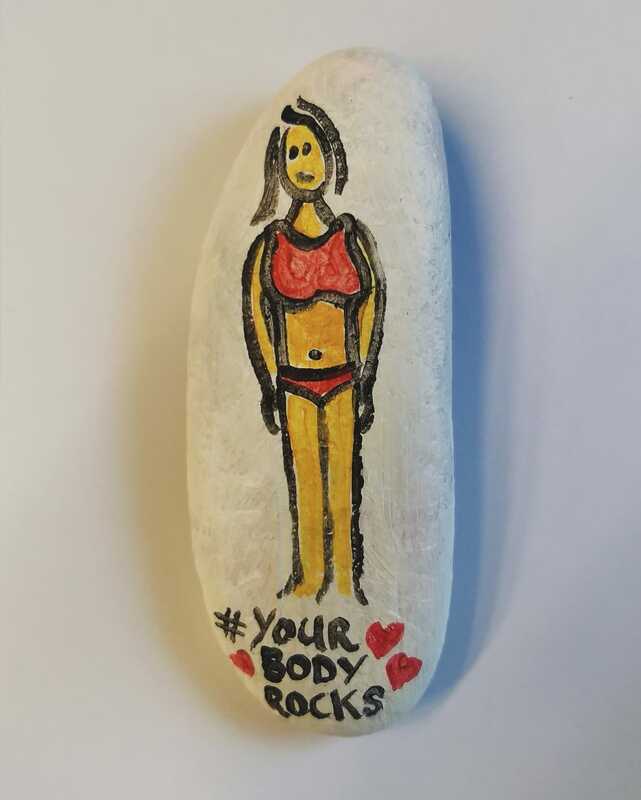 Our ‘Your Body Rocks’ volunteers have decorated 150 rocks with body positive pictures and messages and left them in and around Hertfordshire – the hub of Your Body Rocks. Tell us your story; a celebration of what your bodies have achieved, have gone through and battled. Read founder Michelle’s story now. ROCK OUT! 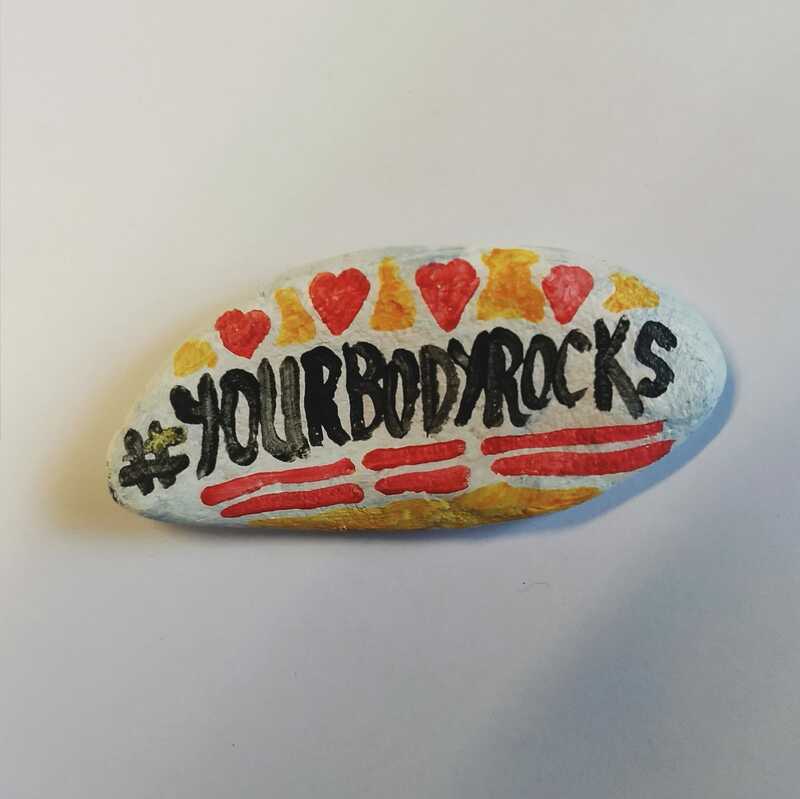 Support the campaign by creating your own rock to sprinkle out into the universe. 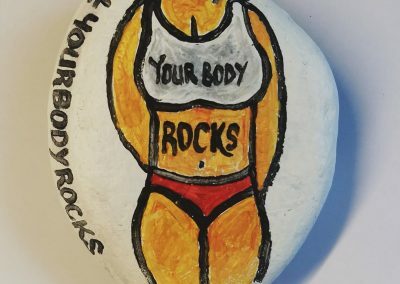 Paint, scribble with a Sharpie, decorate however you like with body positive images and words. Get creative! Host your own ‘Rock Party’! Get your friends round and paint, rock n’ roll! 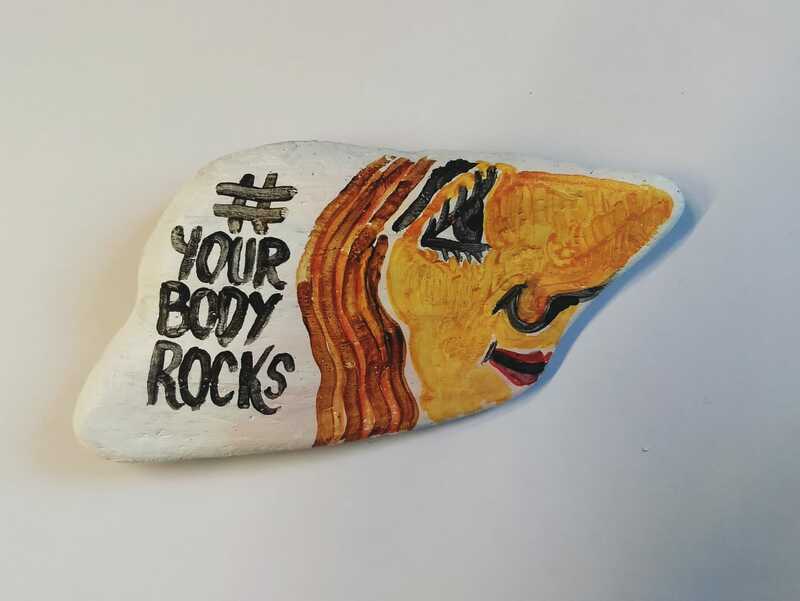 Embrace the movement in body positivity with us and celebrate how YOUR Body Rocks.